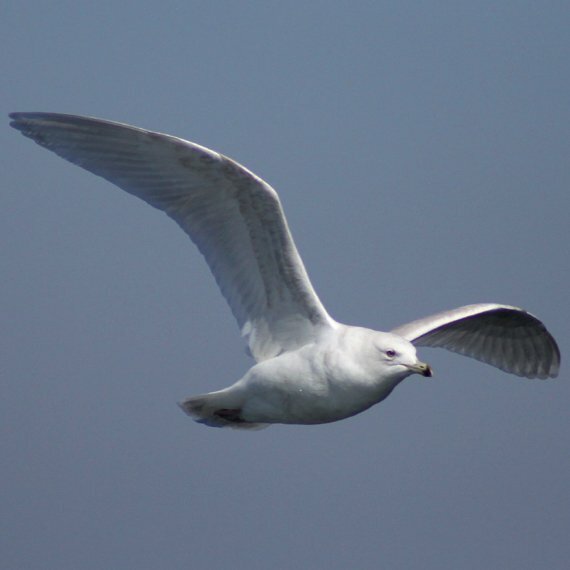 Iceland Gulls do not breed in Iceland. 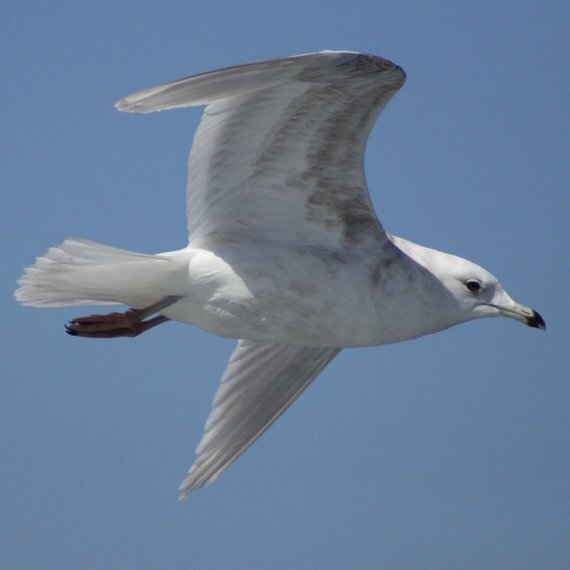 They do winter there, as well as in northern parts of Europe, in eastern and central Canada, and across the northeastern and central United States, but like many other birds named after places they essentially have a misnomer. 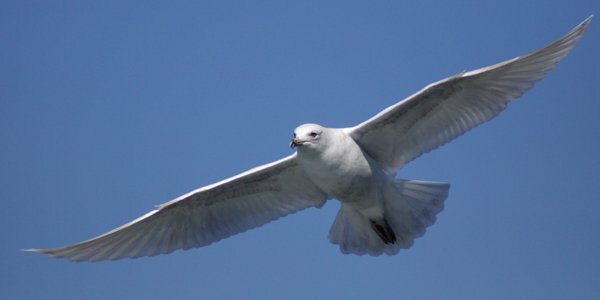 But if one detaches “Ice” from “land” and puts a hyphen between the two the name seems much more fitting, because while they do not breed in Iceland they are usually seen when the land is covered in ice. 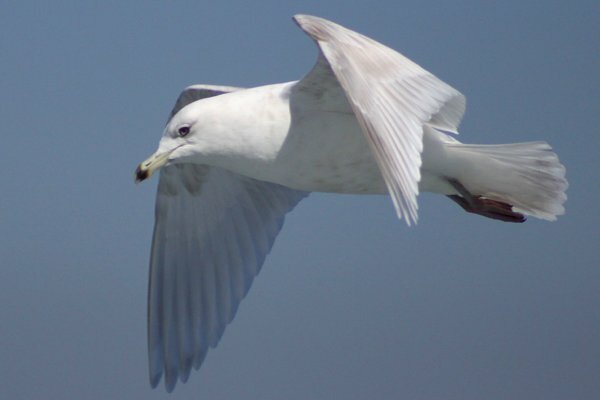 No one ever takes my naming ideas seriously though, so we will probably never see Ice-land Gulls on a checklist. 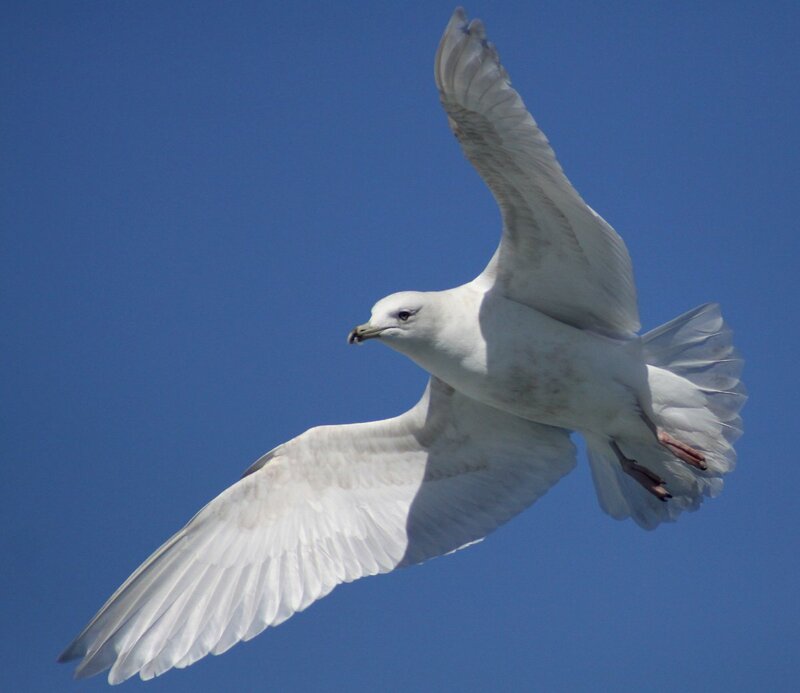 I can live with that so long as Larus glaucoides shows up on occasion in my binoculars and camera viewfinder because the white-winged gull that nests in Arctic Canada and Greenland is a beauty of a bird and well worth freezing one’s keister to see. 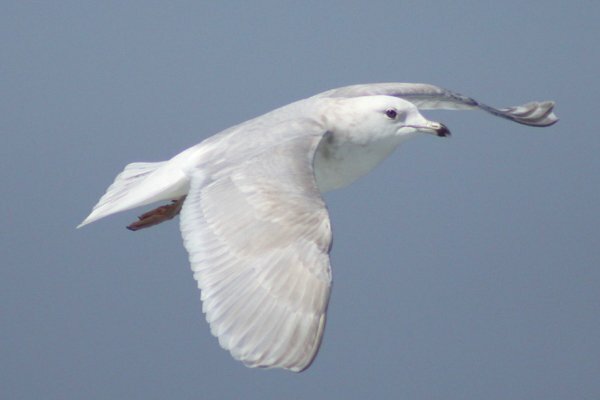 Because of their huge range and large and stable population Iceland Gulls are considered a Species of Least Concern by BirdLife International, good news for those who, like me, enjoy seeing them whenever possible. 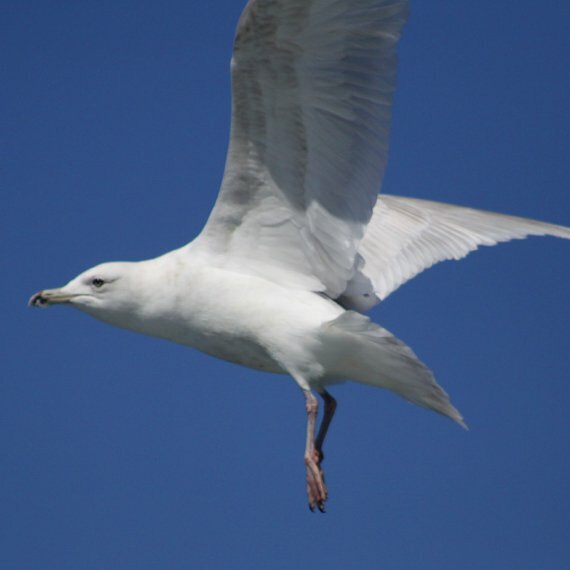 The bird featured in this post is a second-year bird that is on its way to third-year plumage and was photographed in March of 2011 off the coast of Long Island, New York, on the same pelagic trip as this Glaucous Gull. 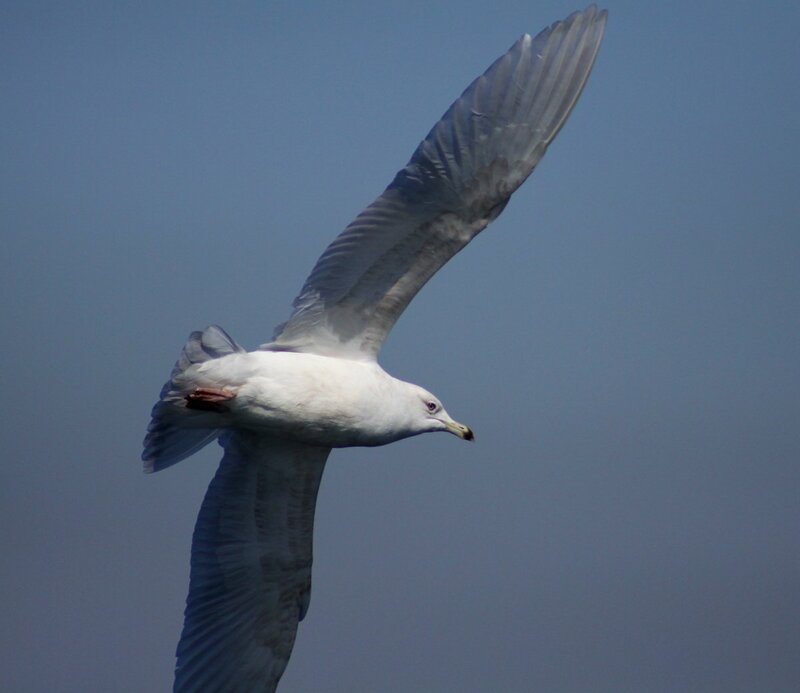 I hope you enjoy these shots and get a chance to see your own Ice-land Gull! The first three images below all have bigger versions that you can access by clicking them. Don’t forget to check back here in the middle of the first heat wave of summer. 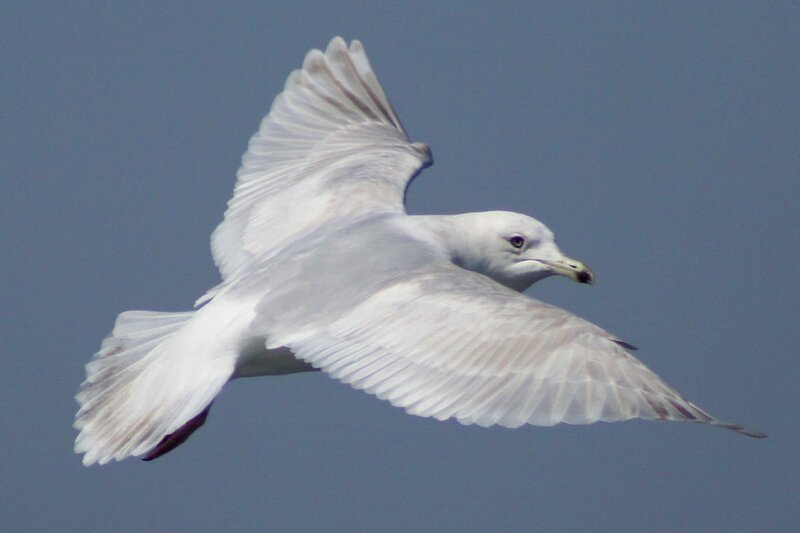 The sight of an Iceland Gull in summer actually works better than air conditioning and is more eco-friendly as well! 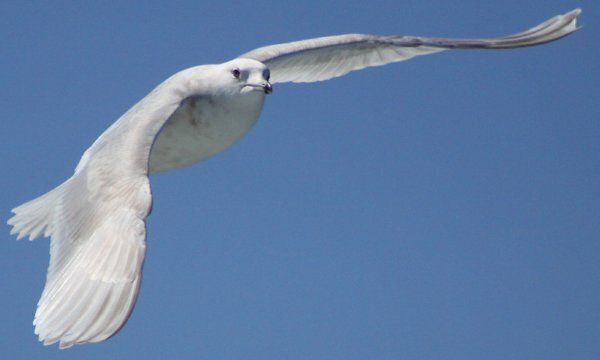 This post has been submitted to Bird Photography Weekly #137. Go check it out!